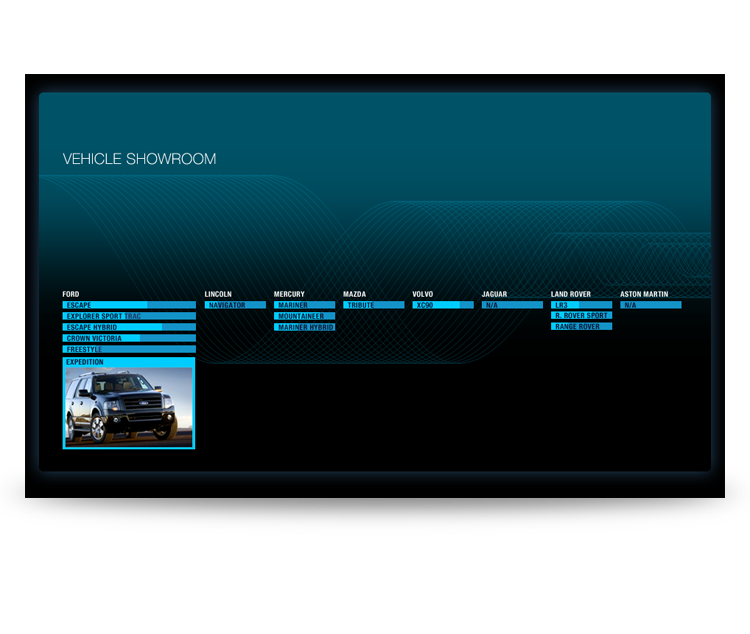 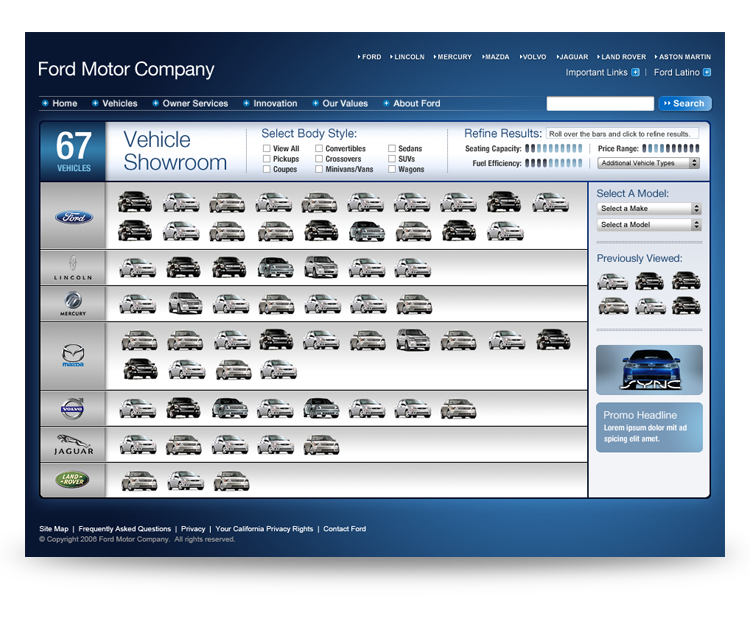 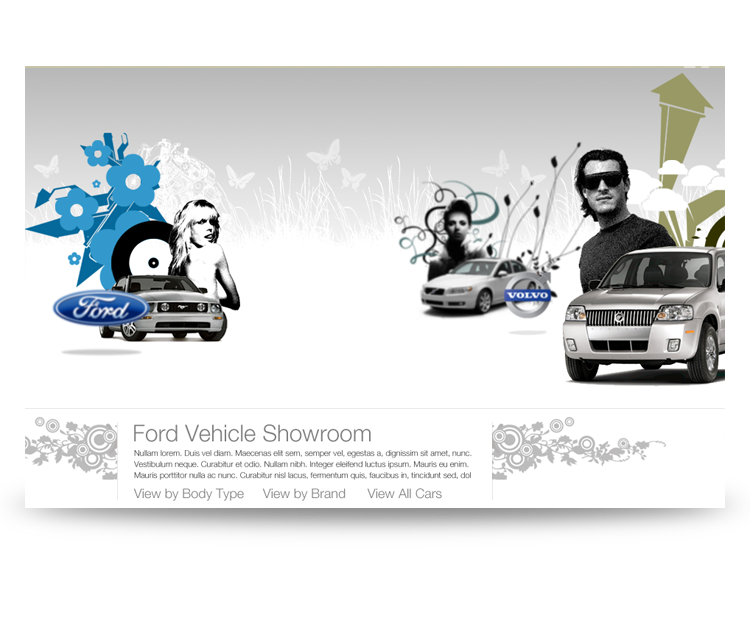 Concept designs for an experiential online vehicle showroom. 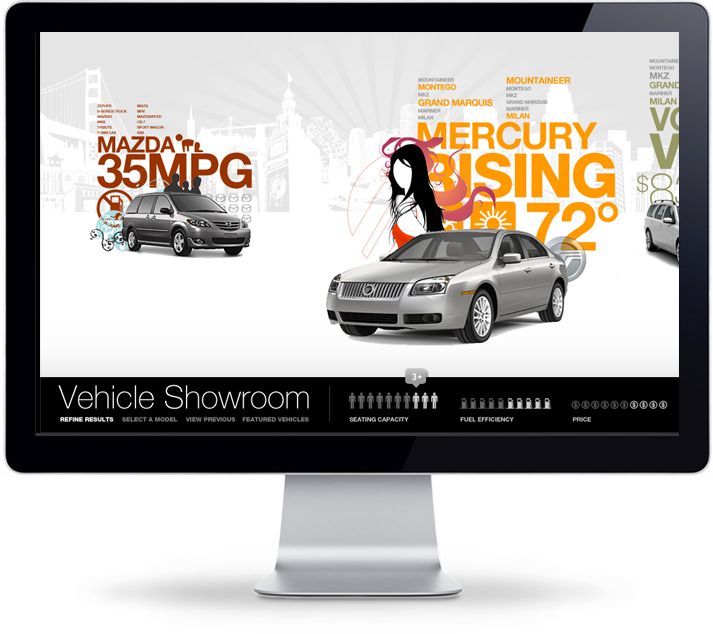 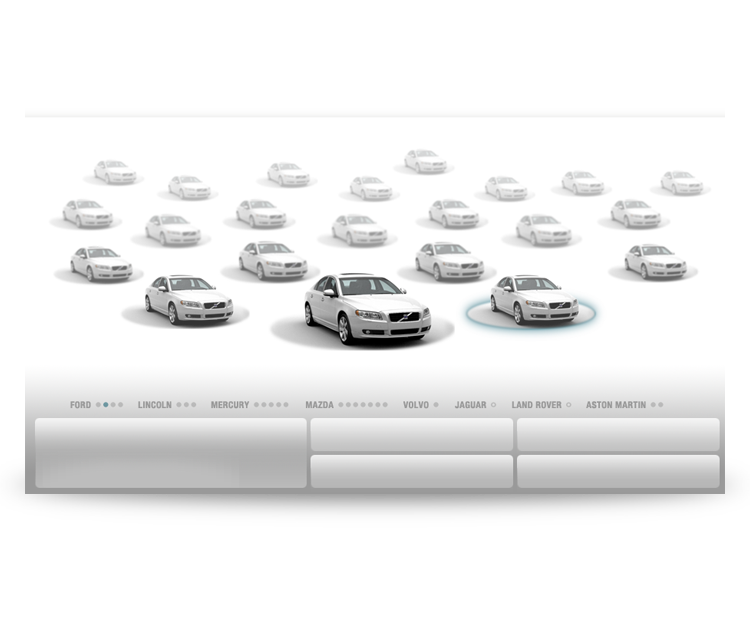 Versions include body types represented by their own mini-sites within the landscape of the showroom (with illustrations designed to enhanche the buyer's perception of those vehicles) and an early "calculator-like" browsing method that favors the tools over the experience. 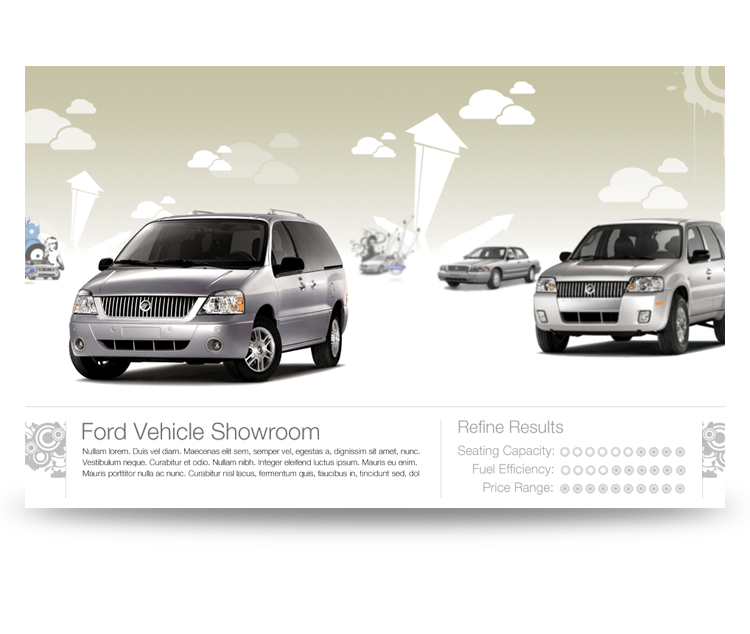 The designs include various options for filtering a user's choice by seating capacity, fuel efficiency, and price, with different ways of indicating results (from relative size of vehicle names to opacity) in the landscape above.